Lungile is the Executive Director at IkamvaYouth. She previously worked for Treatment Action Campaign, where she was the Chief Operations Officer and National Manager overseeing every aspect of the organisation. Before that, she worked with Accenture and Trialogue, amongst others. 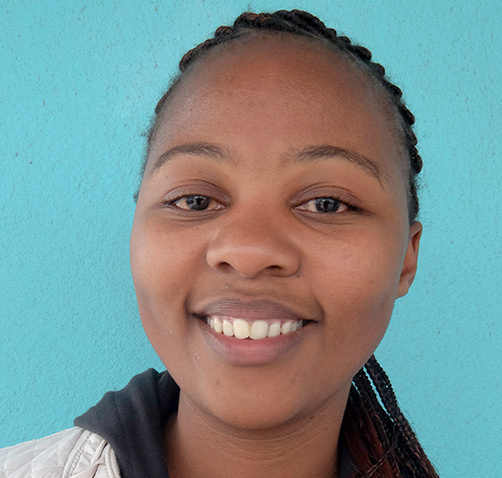 Lungi is energetic, enthusiastic and has a passion for education. She has an impressive list of qualifications behind her including an International Strategy M.Sc. from the University of St Andrews, and an Honours degree in International Relations from the University of the Witwatersrand. She also has a diploma in democratic institutions and participatory democracy from the Swedish Institute of Public Administration. Alex is an English qualified solicitor who emigrated to South Africa in 2012. Prior to reaching our shores, Alex worked in a busy London practice as a Litigation and Property Litigation lawyer. 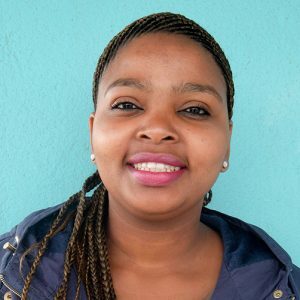 When she moved to South Africa, she was committed to finding a way to help use her skills to address inequality and so she started volunteering at IkamvaYouth in May 2013. 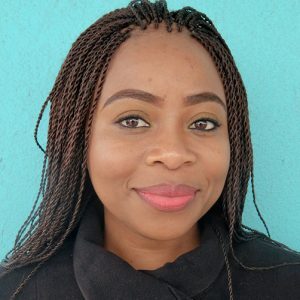 In July 2014, she started working full-time for IkamvaYouth as the Fundraising Coordinator and has since been promoted to the Business Development Manager. Suraya holds a BCOM in HR Management and is currently enrolled for Honours with UNISA. Prior to joining IkamvaYouth, she worked as the Human Resource Manager for Treatment Action Campaign. Suraya also previously worked as an HR Consultant in the NGO Sector for various organisations such as Wits Health Consortium. Patrick is a passionate Community Development Professional and joined IkamvaYouth in 2012. Beginning as a district coordinator in Gauteng, he now oversees programmes across the organisation nationally. Patrick has worked as an educator, a researcher on education issues in South Africa, a researcher on psychosocial support for Orphans and other Vulnerable Children, as well as researching for the SABC 2 Talk Show Hola Hamonate. He has also been involved with International NGOs working to empower children and the needy, in the capacities of Project Manager (CARE Germany & Stars of Tomorrow). Patrick also co-founded Hope Warriors Children's Charity, a community-based initiative to help children in Soshanguve. He has a B.A Honours Degree in Development Studies (Midlands State University). Patrick believes and is proof, that education is a sure and sustainable way of emancipating the children and youths of Africa from the cycle of poverty. 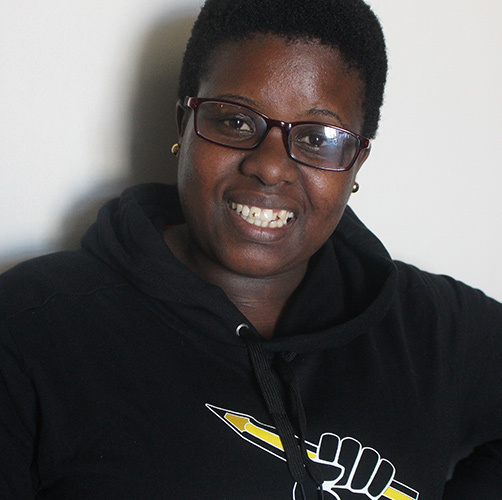 Balisa joins IkamvaYouth as Fundraising Coordinator. Her passion for education and development is seen through experience in various development organisations including: Inclusive Education South Africa, Ubuntu Education Fund, Masifunde Learner Development and the Deutsche Gesellschaft für Internationale Zusammenarbeit (GIZ) GmbH. She has also worked as a journalist for the Times Media Group. Balisa holds a Masters in Development Studies. Thabisile has a passion for community development. She holds an honours degree in Psychology from the University of KwaZulu Natal. 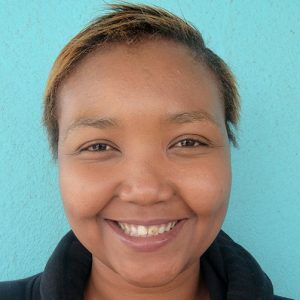 Thabisile has held a number of roles in the youth development sector, beginning at L'Abri Outdoor Centre and Hella Hella Outdoor Centre, as a camp facilitator/coordinator. 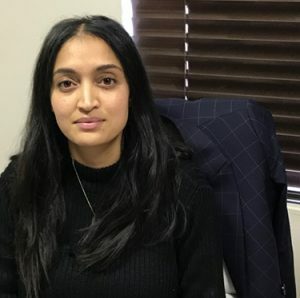 She has also worked at the Child and Family Centre (UKZN, PMB), as well as the Westville and Howard College campuses of UKZN as a student counsellor. Thabisile is looking forward to growing the Alumni department, ensuring that our past learners continue to have the support to take the future into their own hands, and be in a better position to pay it forward! 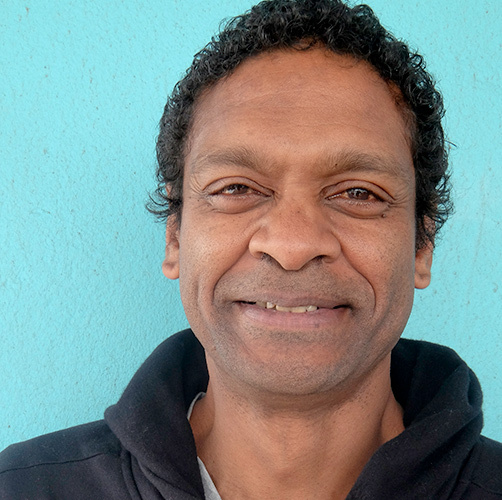 Pepe completed his tertiary education whilst working to support his family. As a seasoned Education, Training and Development Practitioner he is registered with the ETDPSETA as assessor and moderator and has developed and facilitated various SETA-accredited and other qualifications and courses, especially in adult education, leadership, management, community and youth development. Pepe has worked with corporates, government entities, academic institutions and civil society organisations on local and global platforms. His basket of skills include research, advocacy, project management, communication, networking, marketing, capacity building, organisational development, and critical reviews. Pepe is a published editor, an artistic and creative practitioner, and holds a BA (Psychology) Honours Degree. 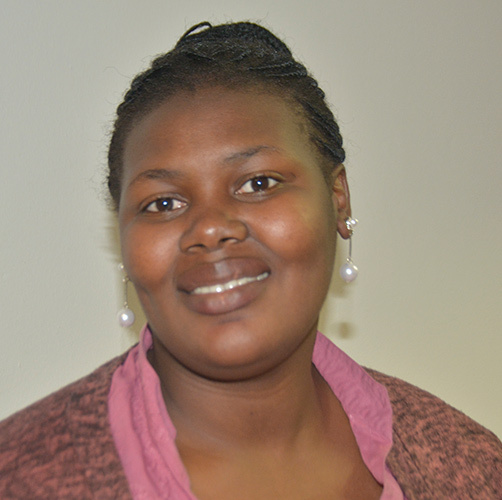 Busiswa has been with IY since 2011 where she began as a tutor in the Nyanga Branch tutoring Life Science and English. She has since been promoted several times and is now part of the Community Collaboration team. She is studying Public Administration and Communication Facilitation with the University of South Africa where she is completing her degree. She is passionate about ensuring learners and tutors reach their full potential. 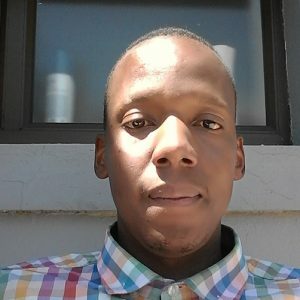 Nandi joined IkamvaYouth in March 2017. She is a University of Johannesburg alumna and holds BA Psychology Degree and is currently studying towards her honours degree. She is part of the Community Collaboration Team and is passionate about creating social change and community development. 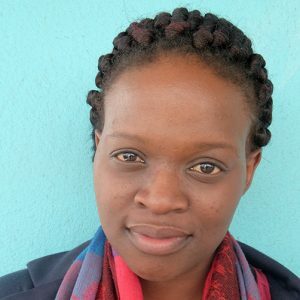 From her days of serving on tutoring youth programmes at church, to participating in Social Entrepreneurship Clinics, she has always aimed to position herself uniquely in learning environments to be an agent of positive change. 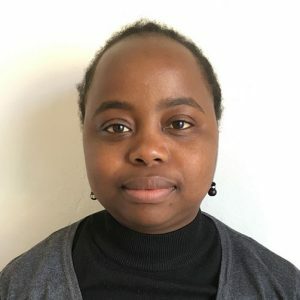 Marion joined IkamvaYouth in June 2012 as the National Administrator (3 years), she then took over the Tech and Database Coordination (1 year) before moving to the lead the M&E and Database department (current). She spent three years with Brightest Young Minds (BYM) before joining IkamvaYouth. She has a degree in International Studies and honours in political science at Stellenbosch University. Marion is excited about the dynamic environment at IkamvaYouth, where she can give back and make a contribution. Thoko is an outspoken person but can be very quiet as well, she likes to explore new adventures in life and likes to challenge herself. She loves listening to music, watching series and spending time with friends. Her educational background is in Information Technology (IT). Phillip is an alumnus from the Makhaza class of 2006. 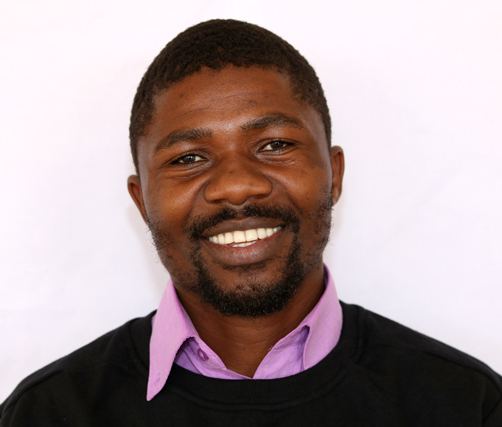 He has been working in the ICT industry for 5 years and is looking forward to building a national network and sharing his ICT knowledge with the IY family. Phillip holds a BCom degree in Economics from the University of Cape Town and certificates in Microsoft MSCA and CompTIA A+. He is also currently completing his ICT Project Management at UCT. Zimkitha was born and raised in the Eastern Cape; in Port Elizabeth. 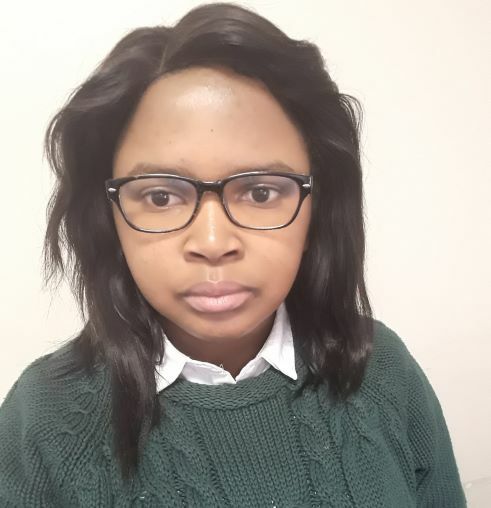 She is an Information Technology graduate; a Damelin College Alumni, currently pursuing BTech in Software Development at the Cape Peninsula University of Technology and has recently completed the Microsoft Certified Solutions Associate (MCSA) short course. Zimkitha embraces change and has a strong passion for education. She is a fast learner and self-driven person who strives for success and always delivers the best. Zimkitha likes seeing positive change in peoples lives, knowing that she was one of the people who influenced those people makes her feel great at all times. Zimkitha joined IY as an IT Support Intern in January 2016 but as a person who never lets opportunities pass and who strives for success and is willing to learn, she then got promoted to a Branch Assistant at Masiphumelele where she is currently located. 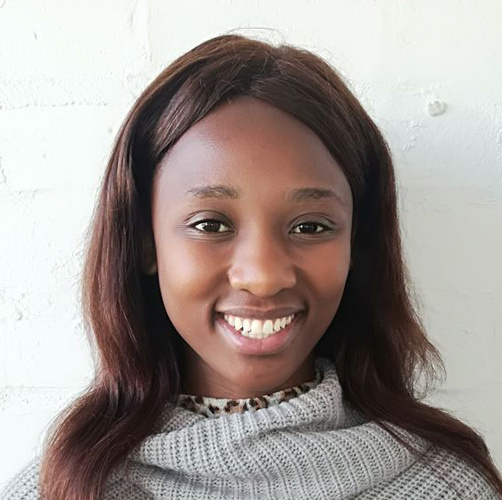 The good work that Zimkitha did and showed throughout her IT Support intern days spoke for her to be granted this Tech and Database Assistant position, that she is currently in. Zimkitha is looking forward to learning new things, growing in these fields and also ensuring to be the best she can and deliver. 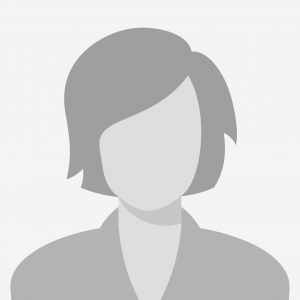 Amanda is an experienced Executive Assistant with extensive experience working in the non-profit organisation sector. Having worked for a HIV and AIDS organisation for 5 years, she is very excited to be working for and improving the lives of the youth from disadvantaged communities at IkamvaYouth. 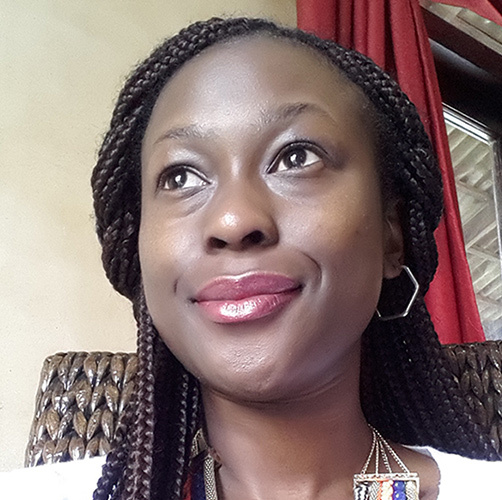 She holds a Bachelor of Arts focused in Communications from Nelson Mandela University. She strongly believes in the motto, "The future is in our hands" as she lives by it every day! 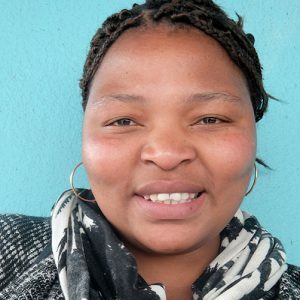 Shuvai obtained her Bachelor of Social Work degreee from UCT and joined IkamvaYouth as a Branch Coordinator in early 2012. 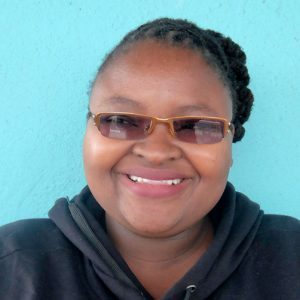 As Branch Coordinator she put her social work skills to use, working with learners and volunteers at the branch, to ensure that young people got the empowerment that IkamvaYouth aims to impart to them. 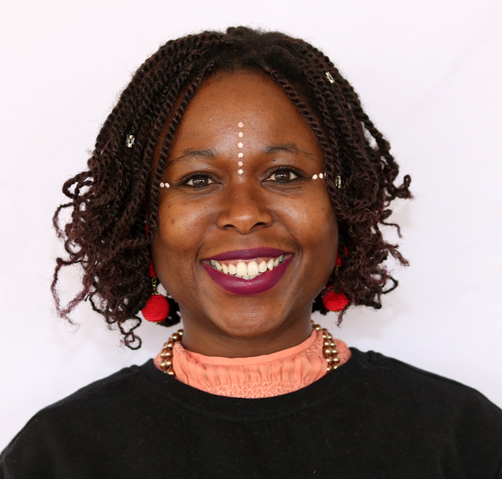 Shuvai then moved to heading IkamvaYouth's Internal Communications department while being Executive Assistant to the Director, where her excellent writing skills were put to use. In this role she offered support to IY's executive team and board of directors. Currently, she is heads Project Management at IY, while completing the final leg of her Masters in Development Studies at UCT. Felicia is a journalism graduate, born and bred in the Free State. She joined IkamvaYouth in March 2016 as Programmes Intern and then moved to GP Office Admin. Sinceshe's joined the organisation, she has grown tremendously as an individual, adapting a culture of responsibility for herself and others. What gets her up in the morning is knowing that she is contributing towards bringing change within society to ensure that those less fortunate are in school and are able to access post-school opportunities. Odwa was born and bred in the rural areas of Mount Ayliff in Eastern Cape, with so many dreams and ambitions. She holds a Bacher's degree in Business Management from Nelson Mandela Metropolitan University, currently studying BCompt in Financial Accounting at UNISA. Odwa started working for IkamvaYouth from March 2017. It has been a great pleasure for her to be part of this organisation, a team that works hard in helping other to realise their dreams and potentail. 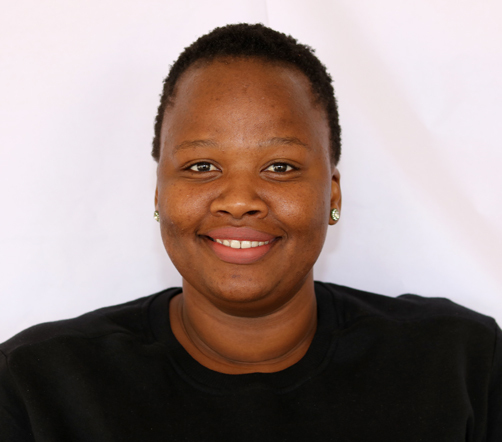 Zukile is an IkamvaYouth ex-learner, tutor, Branch Assistant, Branch Coordinator, Schools Coordinator for the Year Beyond Project and currently fills the role of Branch Coordinator at Gugulethu Comprehensive. 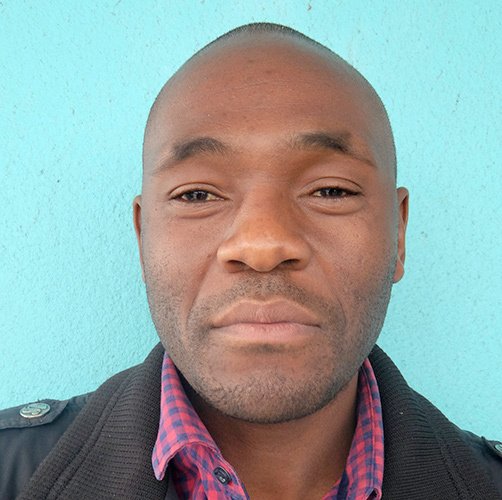 He has a degree in information systems and has been based at the Makhaza branch for 10 years. 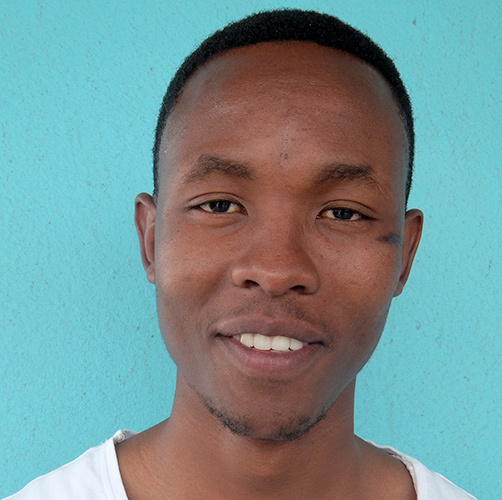 Zukile has substantial experience working with learners from the Khayelitsha community and is highly motivated to put learners from disadvantaged backgrounds on the path to earning a dignified living. Nokubonga is an ex-learner from the class of 2009. She is an activist and a feminist and has been doing advocacy work at various organisations since 2008. 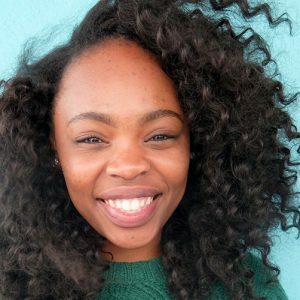 Prior to joining IkamvaYouth, she was involved with Equal Education, Women's Legal Center, Grassroots Boxing Academy, #UniteBehind, and was recently confirmed to be a mentor in the Mandela Washington Fellowship. 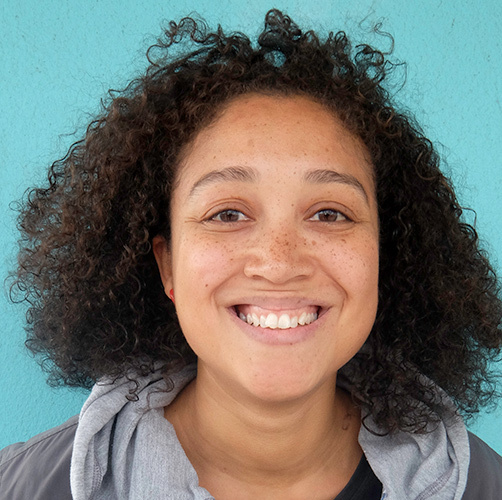 She is the Co-founder of Equal Education's society at UCT and has initiated a psycho-social group called No More Victims. She is driven by social justice and creating change in socio-economic issues especially education and gender issues. Siphokazi is the Makhaza Branch Assistant. She graduated from Cape Peninsula University of Technology with a National Diploma: Office Management and Technology. 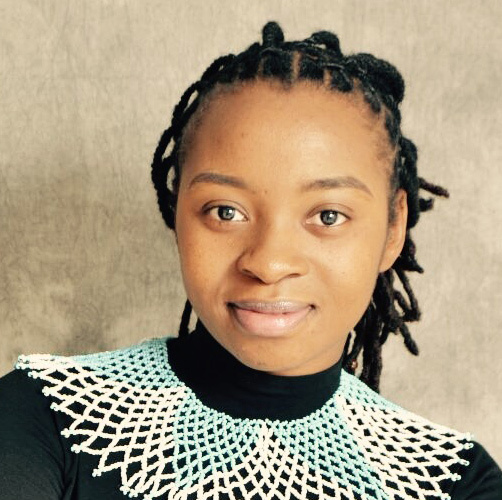 Siphokazi joined IkamvaYouth in 2016 towards the end of the year, in October to be specific as an intern. Lungile grew up in Cape Town, Makhaza. He has been involved in the after school space for more than 5 years. Lungile holds 3 leadership courses from Stellenbosch University and currently furthering his studies at Unisa in Project Management. Youth development is his passion, seeing young people from disadvantaged background (townships) reaching their fullest potential and becoming positive role model in their communities brings smiles to him. Zindi holds a BA Degree in Humanities. 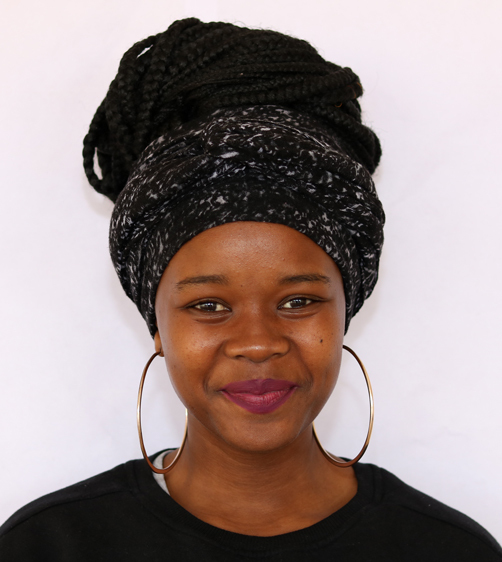 She is currently pursuing her BA Honours Degree in Development Studies. 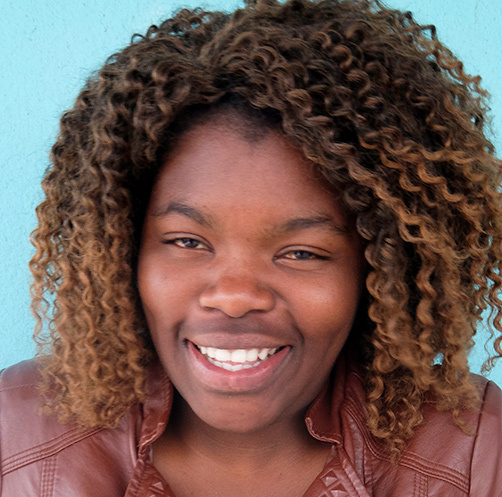 Zindi hopes to use her knowledge to add value to IkamvaYouth and the community at large. She has spent most of her life in Cape Town and is grateful to have the opportunity to have a positive impact on the lives of the youth in her community. 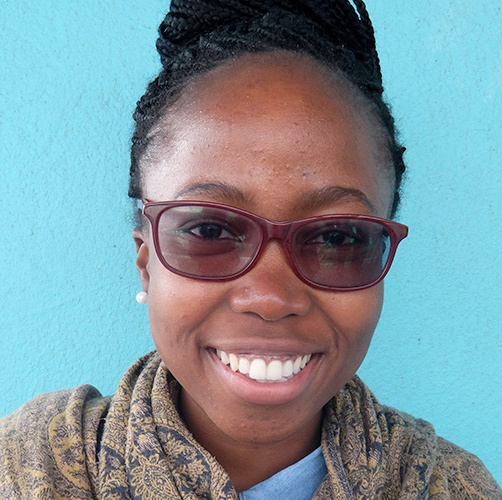 Zindi has a passion for reading, education and self-empowerment. Yanga is an aspiring Social Entrepreneur who is passionate about making an impact in the world, especially in areas that involve education. She is currently completing her studies at Unisa, pursuing a BSc in Mathematics and Statistics. She has aspirations of becoming an Analyst especially for NGOs and schools. Andrea Pietersen was born and raised in Atlantis where she is currently based as the Branch Assistant at Atlantis. 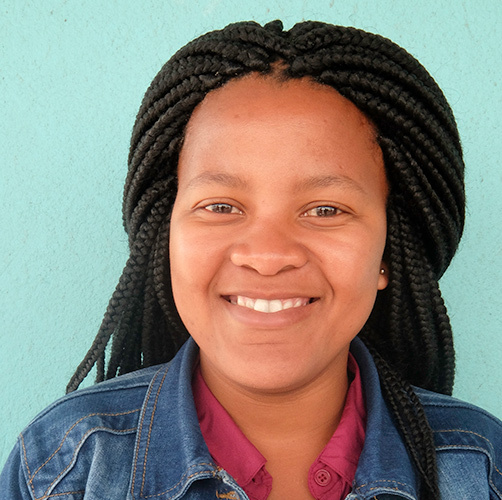 She aims to complete her studies in business administration at Cape Peninsula University of Technology. She has always been involved in community outreach programmes and these programmes have influenced who she is today. She believes in personal and professional development in any form. She is very proud of the work that she is doing at IkamvaYouth and believes that education is power. Phelela is originally from the Eastern Cape in Tsolo village but lives in Cape Town, Khayelitsha. She is a Retail Business Management graduate from CPUT. Phelela was once a learner at Ikamva during my high school days from 2006-2008. She is a Programme Coordinator at Kuyasa branch. Phelela's experience working at Ikamva has been amazing. She started working for IY during winter school 2016, it just reminded her of the days when she was a student. Seeing learners engaging themselves in the tutoring space and the commitment of tutors has just reminded her of why she came back to work for Ikamva. Ending up in the community development field was a fateful coincidence for Zamile. She is a graduate with a Bachelor of Social Sciences, specialising in Community Development and Political Science. She is passionate about youth development, which is why working at IkamvaYouth is a challenging honor. Back at home; Rural Kwa-Sokhulu she is part of a youth organization that helps to equip young people in their desired fields. 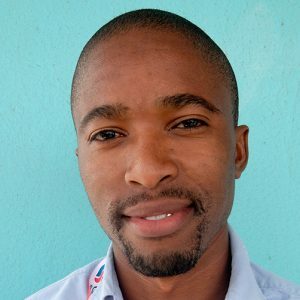 Ezekiel is a young, vibrant, hardworking individual from Pretoria, South Africa who is passionate about driving change in the communities through education. He is currently pursuing a Mechanical Engineering degree. 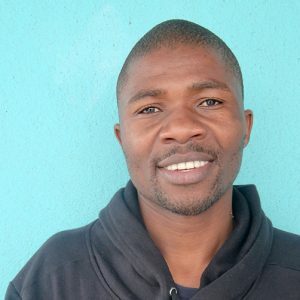 Having worked for some time in the after school space as a volunteer he believes that his role at IkamvaYouth gives him an opportunity to effectively contribute to the youth of South Africa so that they can also have a chance of pulling themselves out of poverty. 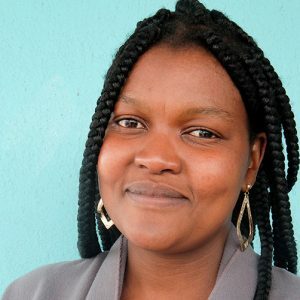 Wendy joined IkamvaYouth in 2017 as a Year Beyond volunteer. She holds a BSc Degree in Environmental and Water Science from UWC. She has just finished a short course from CPUT in Human Resources Management. She believes that as a person, you will always be a piece of a puzzle needed to complete someone else’s life, and in this case she is the piece required for the learners that she works with. She has a passion for youth development, and wants to see South African youth empowered, educated and out of poverty. 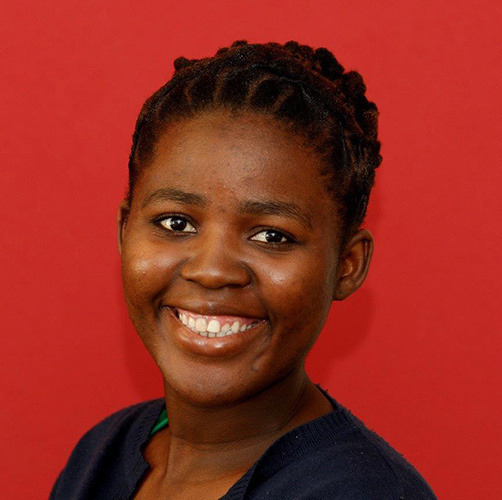 Thandazo is a young, responsible, and conscientious individual with over 5 years' experience in the social development field. She acquired a BA General Degree (Psychology and Sociology) at UKZN and joined IkamvaYouth in the year 2013 as a Branch Assistant, and later was appointed as Branch Coordinator in the year 2015. Thandazo loves working with people in general and the youth in particular and enjoys being a part of a driven and innovative team. She desires to see people and communities being shaped and transformed for the better, and being part of IkamvaYouth has allowed her to be within a team that works towards the realization of this dream. 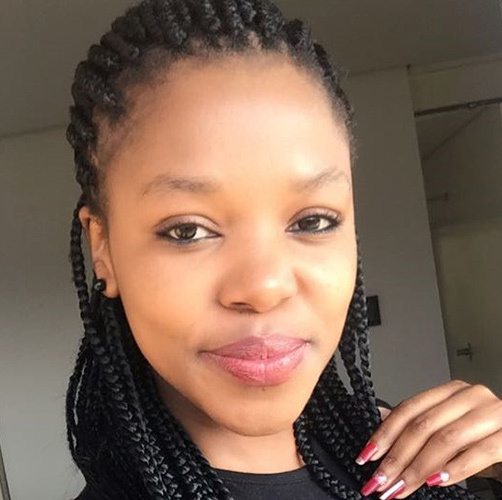 Nompumezo is a Journalism graduate from Rhodes University. She has been working in development, especially youth development since 2008. 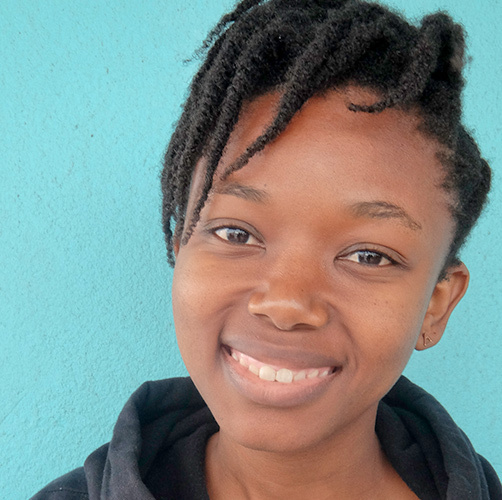 Nompumezo joined the Upstart Youth Development Project, an after school programme that teaches life skills through media production, as an intern and worked her way up to Project Coordinator. 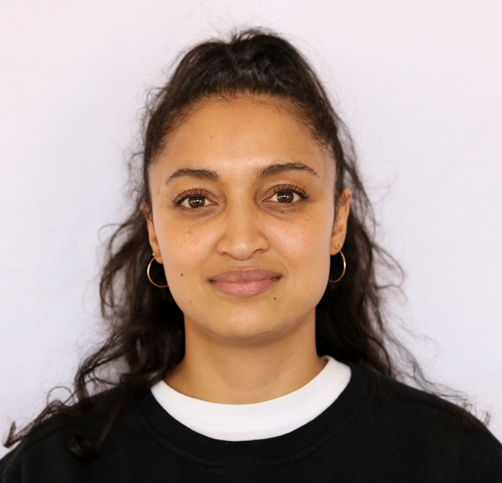 More recently, she has worked with Lattitude Global Volunteering and Skillshare International, coordinating their International Citizen Service programmes which bring youth from SA and the UK together to work on a development project. 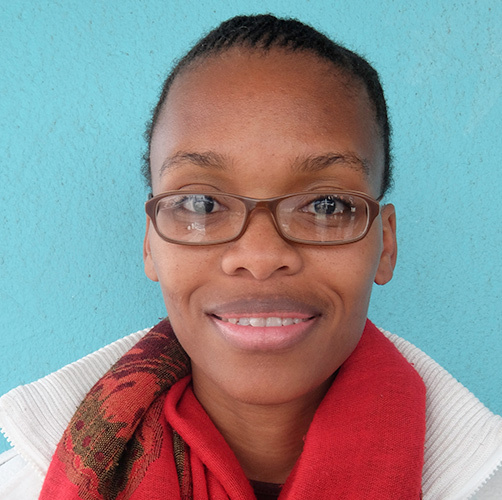 Nompumezo is passionate about empowering young people and about reading. She has a love for Grahamstown that is second to none. 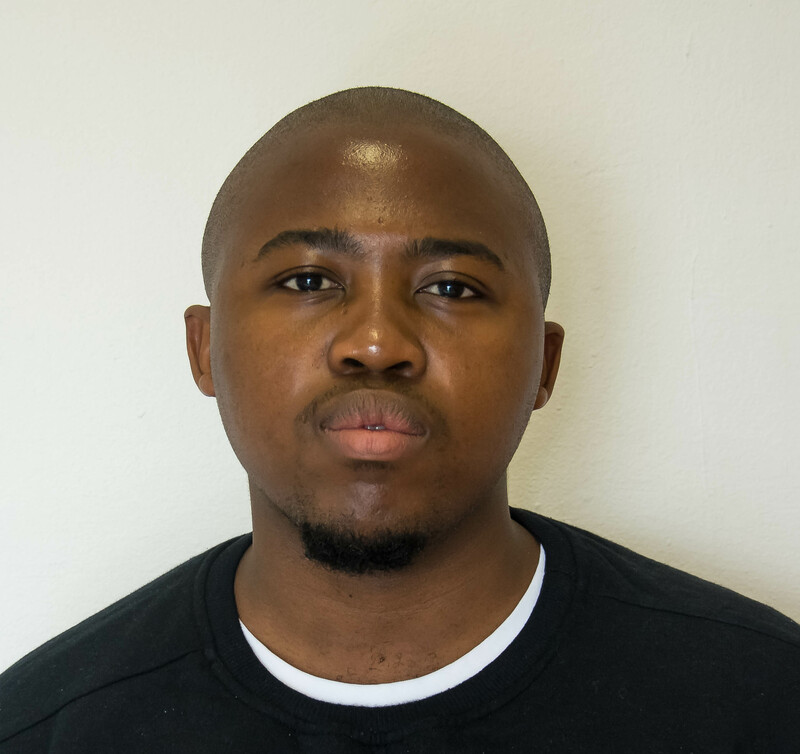 Lungisa provides administrative support to the IkamvaYouth team; as a branch assistant. He has a strong sense of devotion for the development sector and improving the quality of life of the youth of South Africa. Nthabiseng started her career at IkamvaYouth as Umlazi Branch Assistant in 2012 before moving to the Cape Town admin role in September 2015. Her love for the branch helped her take on her new challenge as the Umlazi Branch Coordinator. Nthabiseng's plan is to continue growing in her career. 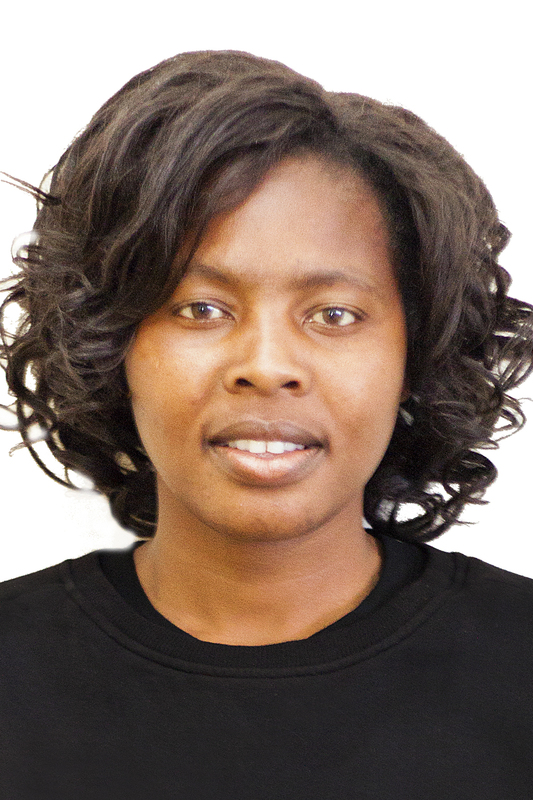 Bongeka is a motivated and dedicated lady who is passionate about development, especially youth development. She holds a degree in Social Science (UKZN), and Community Development was one of her majors. 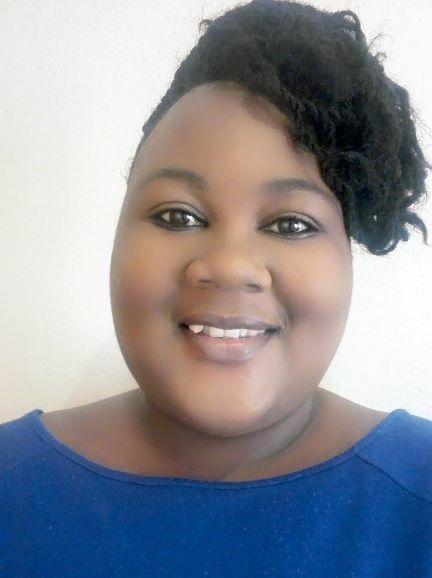 Her passion for youth development is mostly influenced by the fact that she was born and raised in a rural community where young people have very little knowledge about post-matric programmes. 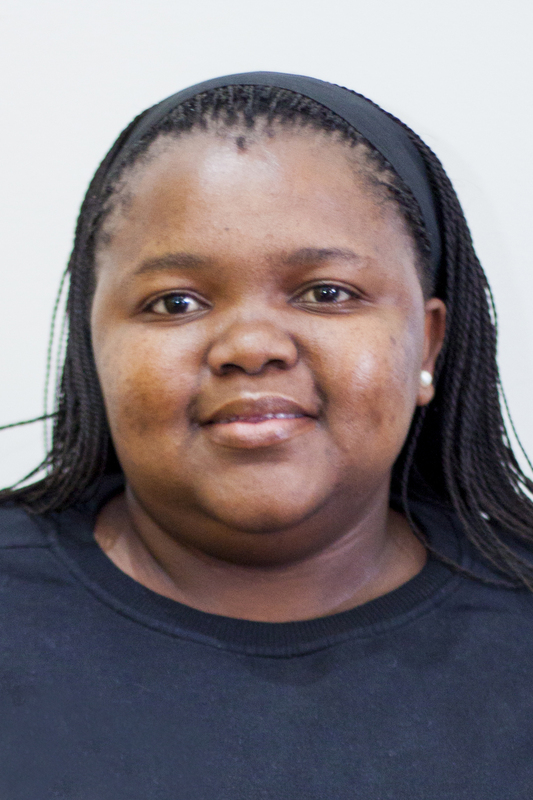 She is happy to be part of a team that contributes positively to the youth of South Africa. 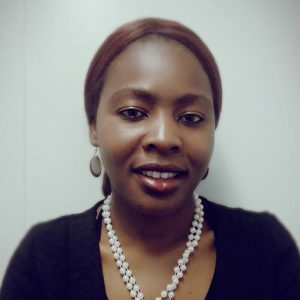 After graduating with an Honours in Economic-Statistics from the University of Pretoria, Maria worked as a Management Consultant, specialising in strategic formulation and implementation before joining the NGO sector. 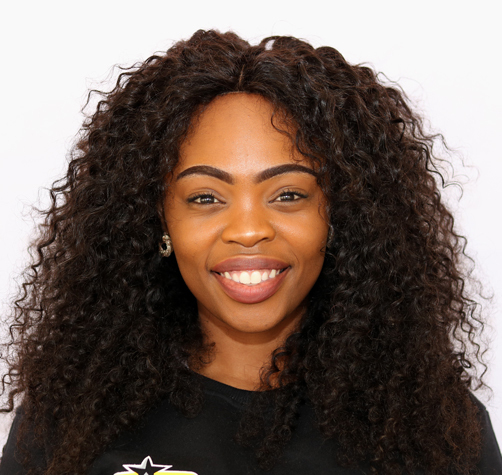 Maria was looking to be involved with an organisation focused on uplifting the youth through education and joined IkamvaYouth as the Gauteng and North-West District Manager in 2016. 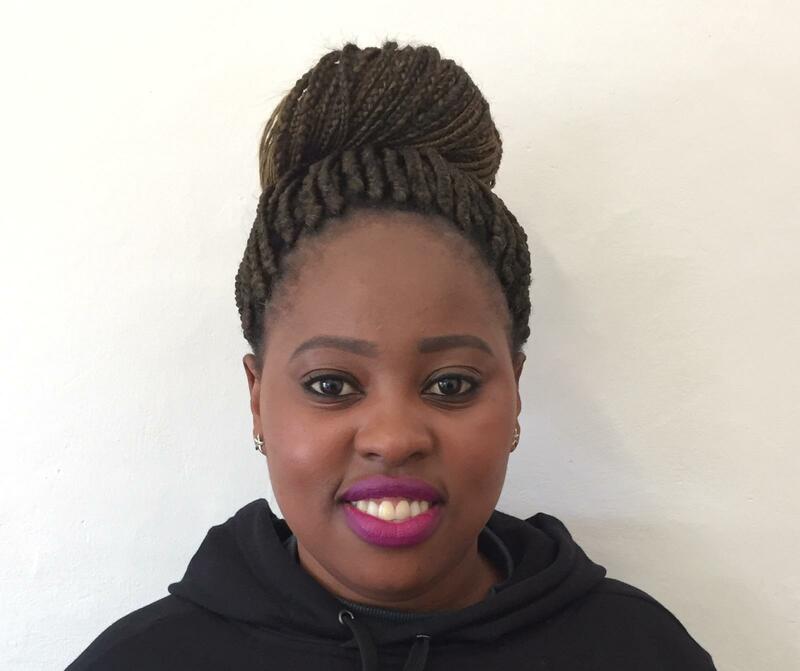 Affectionately known for her warm and personable energy Lerato joined IkamvaYouth’s young and vibrant team in 2015. Lerato holds a BA degree in Sociology and Psychology from the University of the Witwatersrand. Her experience in the NGO sector has helped her identify her passions which lie in community development, research and governance. 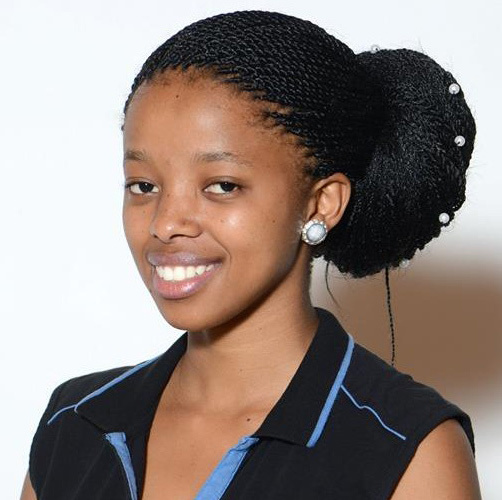 She is driven to advance her academic and professional profile by pursuing her Honours degree in Psychology. Her academic advances serve testimony to her value for education as a tool for empowering young people to climb academic milestones and to realise their optimal potential as young professional leaders and individuals. Lerato carries the motto “Care for what you look for” as a daily motivation to respect and maintain the integrity of her work and personal life as best as she can. Respond is an active and driven individual who found passion in youth betterment. He is currently studying human resource and pratices. As someone with a great passion for youth betterment, Respond has been volunteering in the youth development industry for the past six years, during that time Respond has worked hard to develop professionally and is continuing to grow and learn. 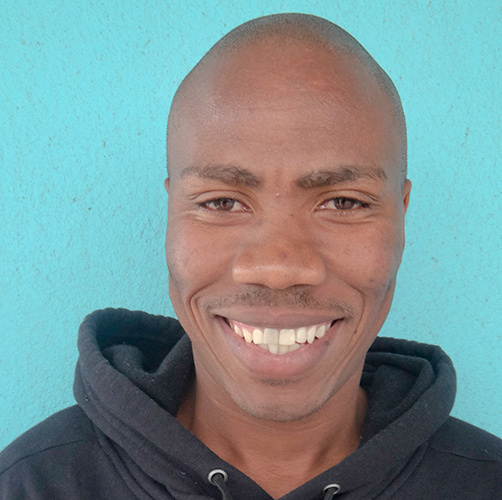 He joined ikamvayouth as a learner, tutur, and intern and is currently branch assistant at Ivory park. 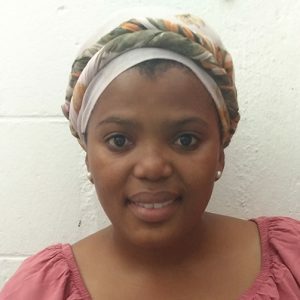 Cindy is young vibrant lady, who first joined IkamvaYouth as a volunteer office assistant at the Ivory Park Branch in February 2015 and later was employed as an intern in the branch. Toward the end of 2015 was moved to intern at the National office in GP and now based at Ivory Park as a Branch Assistant Coordinator. She is passionate about young people and the education sector in our country and she believes working together we can help young people achieve better their lives. Michael is fun loving person, who likes dealing with people. He studied and attained a Diploma in Management and his passion is helping others in need to do better in life. He also coaches a young people's soccer team in Soshanguve, Pretoria. Currently working as a Branch Assistant at Ikamvayouth Ebony Park,Felistas is a professional Educator aged 32. 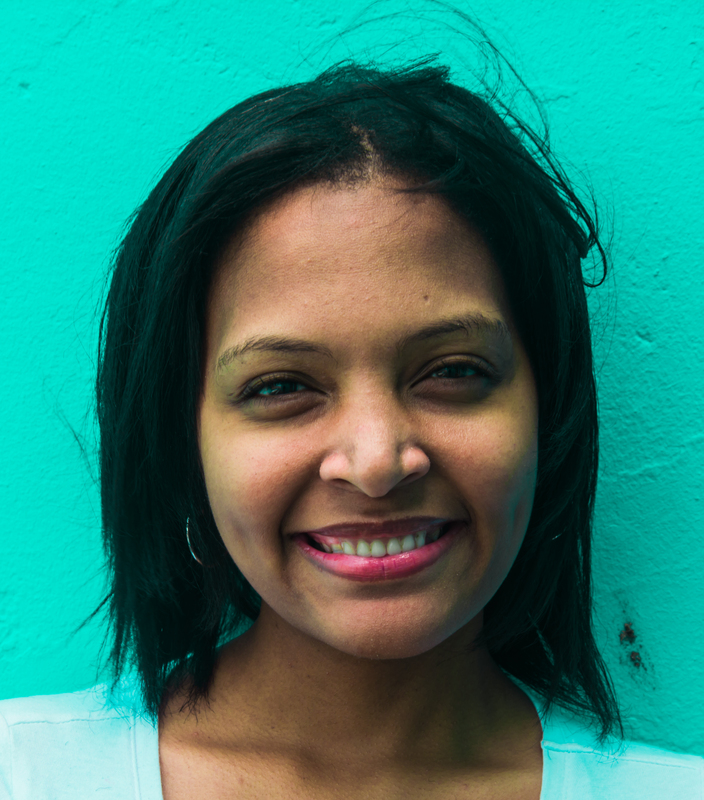 Felistas has been working as a teacher also as a training and development facilitator for more than 5 years now. Having graduated with a Diploma in Clothing in 2008 and a Higher National Diploma in Education in 2011 Felistas has a vast knowledge in working with different age groups in a teaching and learning environment. When she is not glued to a computer screen she spend time researching, learning new skills and trying very hard to implement the acquired skills in her current work as a Branch Assistant. An active and driven individual who found passion in youth betterment. 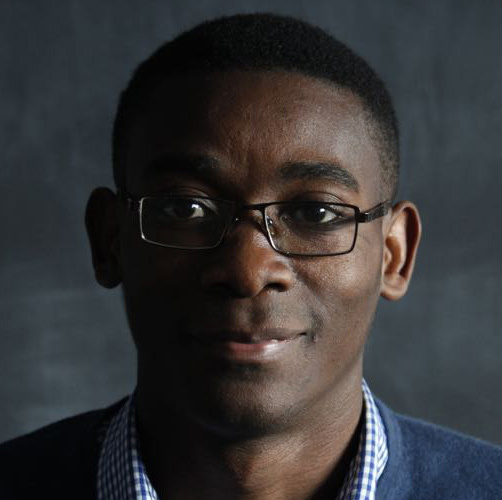 Sakhile studied and attained his Diploma in Media Studies and Journalism. As someone with a great passion for youth betterment, he has been working in the youth development industry for the past six years, during that time he has worked hard to develop professionally and is continuing to grow and learn. Sakhile joined IkamvaYouth as Chesterville Branch Assistant in October 2015, where he contributed to the stability and success of the branch in the process growing as an individual and understanding the IY culture. 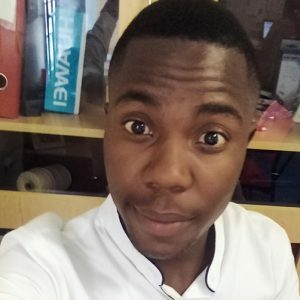 He has recently joined the Gauteng team as Mamelodi Branch Coordinator where he seeks new opportunities, challenges, and to strengthen his position in being a valuable member of the IkamvaYouth team. 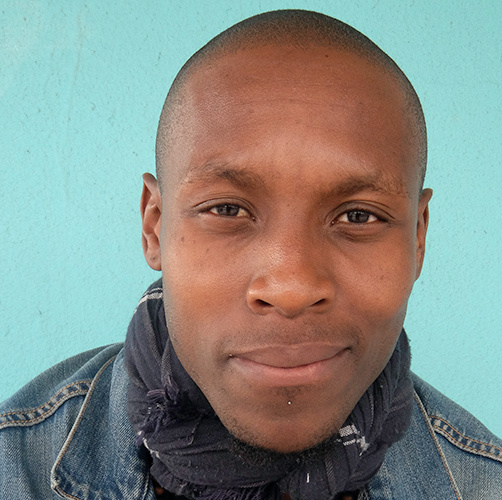 Sakhile's compassion and empathy shine through to make him an approachable figure to the youth he serves. Bonolo has completed an Advanced Diploma in Media Studies and FET Certificate in Advertising. She is currently studying perusing BA English specialising in Creative Writing at UNISA. She is excited that she is making a huge change in the community that she was born and bred at (Mahikeng). Bontle is from a small location in the North West called Itsoseng. 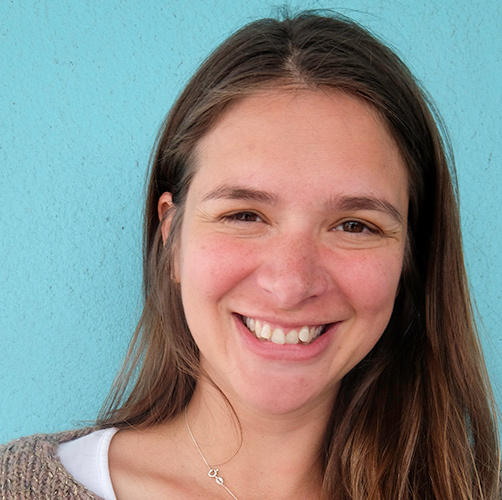 She is a Psychology graduate and has been volunteering as a tutor at IY since October 2015. 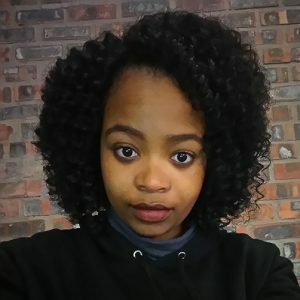 Bontle has a passion for working with human minds and trying to understand how well they adapt to the environment and she believes the IY is a platform for her to learn more about the challenges we face as a community; particularly with regards the low grades in rural areas. Bontle is a funny person, easy to get along with, and she is willing to learn more. She hopes she will make a success of the branch in producing future leaders for the country. Ntombi is born and bred in Pretoria. Her 10 years experience in community development and her focus on community collaboration has led her to a number of volunteer opportunities and community leadership roles. She is dedicated in serving to draw school-going youth and expose them to opportunities and ultimate career paths which they select. Andani was born and bred in Limpopo. He has a strong passion in youth development. Andani joined the IY team in 2017 where he worked within programmes department and is currently the Ikageng Branch Assistant. He holds a bachelor' degree of Arts in International Relations, diploma in Computer and Secretarial, as well as certificate in project management skills, business writing skills and public finance management.